What is Allergic Rhinitis and What Can You Do to Relieve Its Symptoms? The condition usually develops when the body’s immune system becomes overly sensitized and overreacts to allergies from airborne materials such as molds and pollens that typically cause no problems in most individuals. Usually, hay fever is seasonal and mainly occurs during the spring and fall seasons. 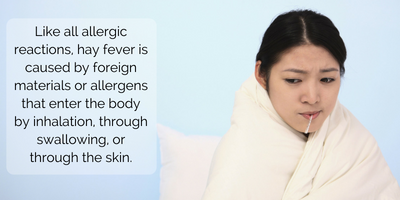 However, the symptoms can last all year long if the allergen is present all through the year. This defines the two types of hay fever which include Seasonal hay fever and Perennial hay fever. Seasonal hay fever often occurs in the spring, summer, and early fall seasons when there lots of pollen from grasses, trees, and molds. Perennial hay fever, on the other hand, occurs all through the year and is usually triggered by allergens such as pet hair, dust mites, mold, or cockroaches. Like all allergic reactions, hay fever is caused by foreign materials or allergens that enter the body by inhalation, through swallowing, or through the skin. The condition occurs when the immune system mistakes what is normally a harmless substance for a threat. To counteract the threat, the body produces an antibody known as Immunoglobulin E to counter the new threat and then releases a chemical referred to as Histamine. Histamine is what causes hay fever symptoms. Other triggers that may lead to hay fever symptoms include perfumes, cigarette smoke, and diesel exhaust fumes. Hay fever symptoms may vary depending on the kind of substance a patient is allergic to. 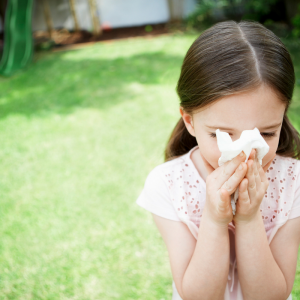 Usually, allergic individuals may have more severe symptoms when exposed to high amounts of allergens like pollen. Asthmatic individuals may experience excessive wheezing or breathlessness. While you can’t necessarily prevent hay fever, you can learn to cope with it effectively. It’s important to follow the medications recommended by your doctor. 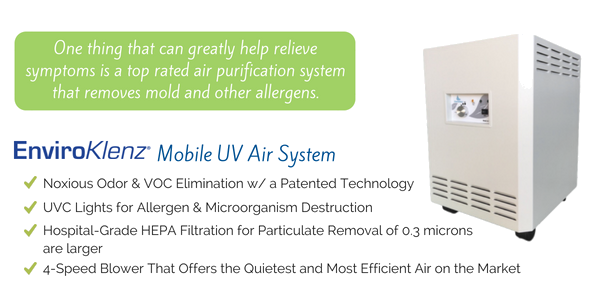 One thing that can greatly help relieve symptoms is a top rated air purification system that removes mold and other allergens. You can also use air conditioning to limit your exposure to allergens. Getting allergy shots especially during the hay fever seasons can also help a great deal.